HOUSTON, Texas — A Texas man has pleaded guilty to providing material support to the barbaric Islamic group ISIS after plotting to join the terror organization and assisting a friend with his plans to fight for ISIS overseas. 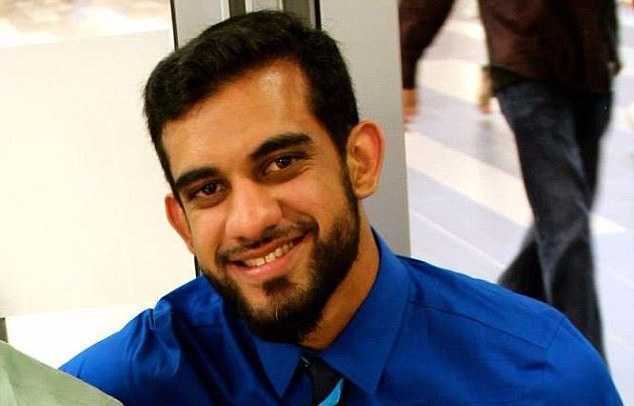 The U.S. Department of Justice announced on Monday that Asher Abid Khan, 23, of Spring, Texas entered the plea before U.S. District Judge Lynn Hughes and now faces up to 15 years in prison for the crime. According to reports, he could have faced life behind bars had he not accepted the plea deal and agreed to cooperate with investigators. The woman tried to discourage Khan, who was living with family in Australia at the time, but he moved forward, meeting up with Garcia in Turkey and reportedly giving him money to go the rest of the way. Being falsely told that his mother had been hospitalized, Khan was tricked into coming home to America, so he did not travel on to join ISIS. However, he reportedly remained in communication with a Turkish contact who could help Garcia with his plans. Garcia, who had been a friend of Khan’s from Klein Oak High School, was successful in his plot to join ISIS, but died in the fighting. Khan was arrested in May 2015, and stood before a judge on Monday, where he seemed to express regret and recant his interest in ISIS. “I thought they were trying to win over people’s hearts and now I realize it was completely false propaganda,” he stated, according to the Houston Chronicle. “I knew what they were doing, and at the time I stupidly bought into the propaganda,” Khan said. He faces sentencing in March. As previously reported, in October, a Massachusetts man was convicted by a federal jury of conspiring to murder U.S. citizens on behalf of ISIS. David Wright, also known as Dawud Sharif Abdul Khaliq, now faces possible life in prison after being convicted of conspiracy to provide material support to the Islamic State, conspiracy to commit acts of terrorism transcending national boundaries, conspiracy to obstruct justice and obstruction of justice.